If you want an easy way to remember what to pack for your next family holiday, look no further! 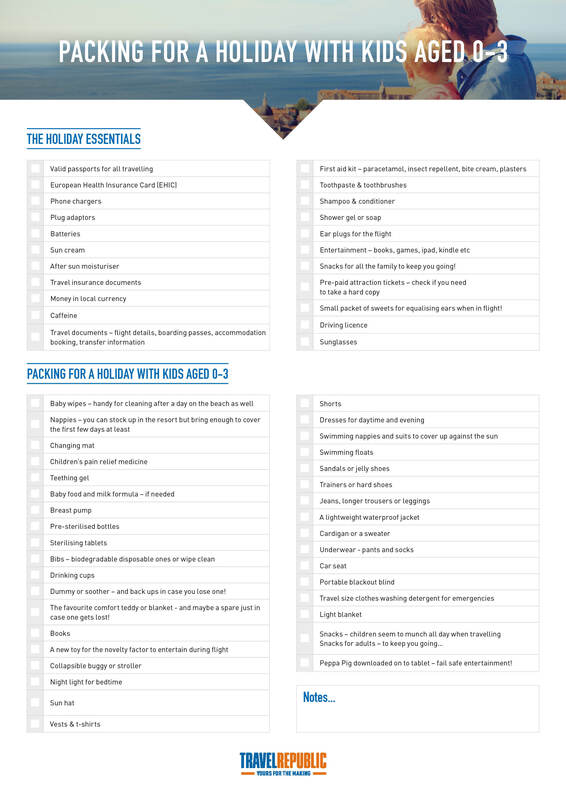 Our handy family checklist will ensure you don’t forget any of the essentials, and can travel with peace of mind. We’ve split our checklist into three separate lists, depending on what age your children are. 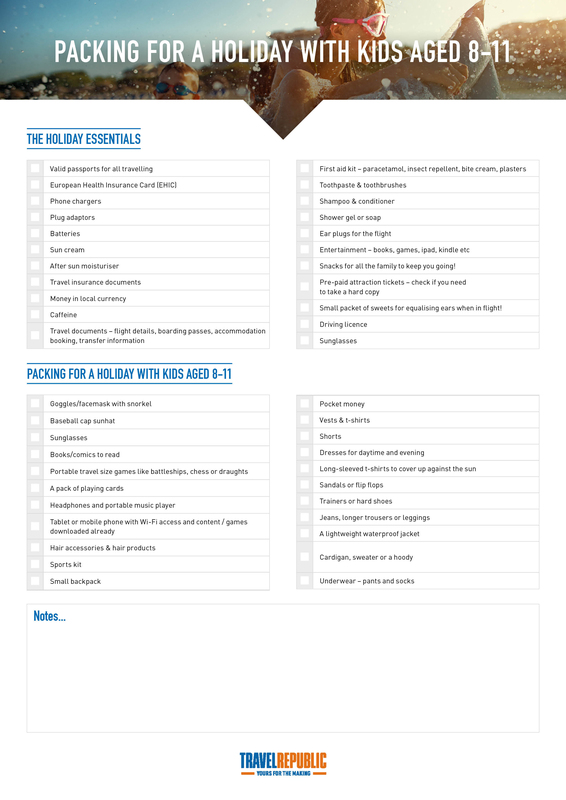 You can print our packing checklist and keep it close to hand when you get ready to jet off. Bon voyage! The post Family Packing Checklist appeared first on TravelRepublic Blog.